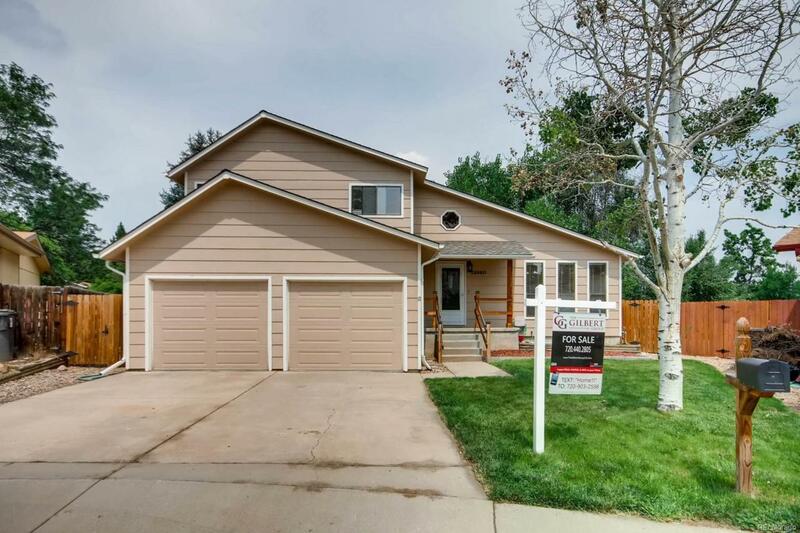 Beautiful and bright Broomfield home with an open floor plan and vaulted ceilings nestled in a quiet cul-de-sac. Upstairs opens to a stunning master suite. This home is filled with upgraded fixtures and finishes! The finished basement provides an abundance of extra space, and the fenced-in backyard, hot tub, and luxurious deck provide excellent venues for relaxing and entertaining. Adjacent to a fantastic park, a rec center, shopping, entertainment, and so much more.